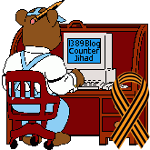 Never let your city, county, or state subsidize a sports stadium — 1389 Blog - Counterjihad! Cities spend massive amounts of public money on privately-owned stadiums. Cities issue tax-exempt municipal bonds that — wait, don’t fall asleep! Previous post: So you think Sufism is a kinder, gentler form of Islam?